"It is absolutely critical to first understand the client's goal. Whatever the situation, I strive to understand my client's business, serve my client's needs and, efficiently and effectively, achieve my client's goals." Brian T. Johnson, a member of the Firm, focuses his business counseling, conflict management and dispute resolution practice in the areas of banking and financial institutions, including credit restructuring and work outs, technology and trade secrets protection, secured transactions and general business litigation. Mr. Johnson has counseled and represented clients of all shapes and sizes from some of the largest entities in the United States to individuals in managing conflicts, resolving disputes and litigating claims and defenses. 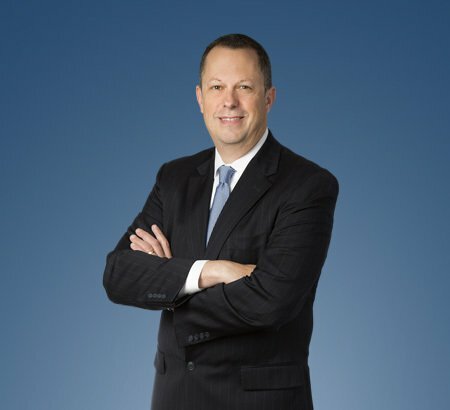 He has led clients through litigation in trial courts, appellate courts and alternative dispute resolution opportunities, including arbitration and mediation. Mr. Johnson has been privileged to serve as advisor and counselor to many of these clients in the development of ongoing business strategies. "It is always my intent to creatively and passionately pursue my client's goals and best interests." Mr. Johnson is a member of the Firm. Mr. Johnson serves on the Orange Township Economic Development Advisory Board, the board of Sonlife Ministries, and the board of the North Church in Lewis Center, Ohio. Further, Mr. Johnson is the executive director of HopeCentral, a fledgling non-profit organization that dreams of serving the poor, disenfranchised and vulnerable in Central America. He is a member of the Ohio and Columbus bar associations as well.